opportunities are available on Oct. 8 and Oct. 9, if needed. The Space X rocket sits on Pad 40 before the successful May 2012 demonstration re-supply mission to the International Space Station. 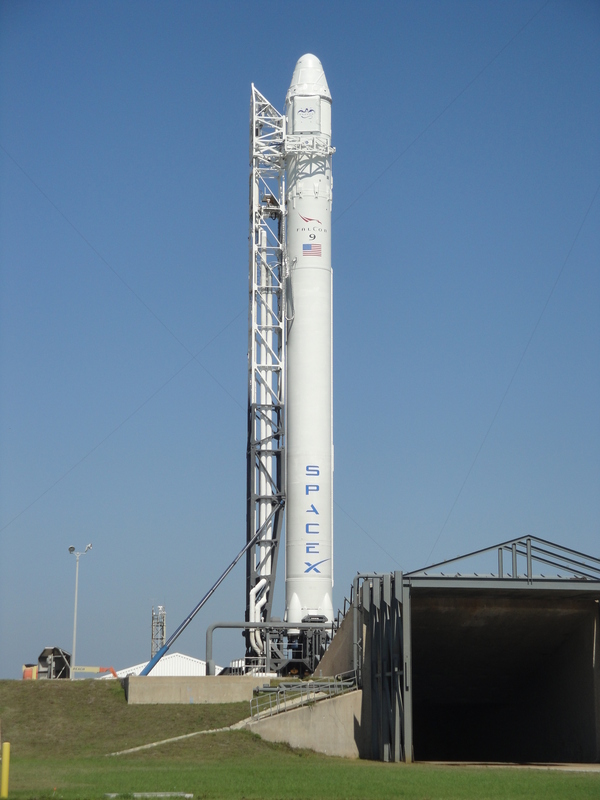 Space X plans to launch a new re-supply to the ISS on October 7, 8 or 9, 2012. It will be a night launch and should be visible throughout central Florida. (Peter M Crow for SHP: © 2012 SHP Productions, LLC). NASA Television launch coverage from Cape Canaveral begins at 7 p.m.
station, following a successful demonstration mission in May. since the retirement of the space shuttle.